Our massive Black Friday concrete garage sale is now on! Huge savings are available on concrete garages, concrete sheds and garden buildings. Our Black Friday event is certainly set to be the ultimate concrete garage sale! Therefore from Monday 19th November to Monday 26th November you can save a whopping 30% in our Black Friday concrete garage sale. Simply order your building for a January or February installation and you’ll save 30%. Please note however that these offers exclude the Deluxe range. But that’s not all, in addition we have a second great offer. We are also offering the first 50 customers to take up this incredible offer an EXTRA £100 off their order! So be quick and order your building soon. 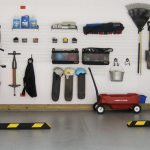 Full details on our Black Friday concrete garage sale can be found on our offers page. As the UK market leader for concrete sectional garages, sheds and garden buildings the quality of our buildings speaks for itself. Our Black Friday concrete garage sale is your chance to make huge savings on your new building. And with the widest choice of concrete garages, sheds and garden buildings in the UK you are sure to find your perfect building. 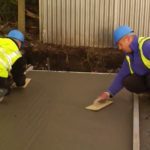 If you are unsure about the best concrete garage to suit your needs we can help. We have a network of over 130 trained and approved local building specialists across the UK. Most of them have our show models on display for you to view for example. They can also offer a wide range of concrete garage related services such as concrete base laying and old building demolition/removal. You can find your closest garage expert using our handy Agent Finder. For more information about our Black Friday concrete garage sale contact your local concrete building specialist. If you want to keep up with all the latest concrete garage news why not follow our social media channels on Twitter and Facebook.